In January I signed up to take part in The 100 Day Goal challenge, which is run by The Business Bakery. 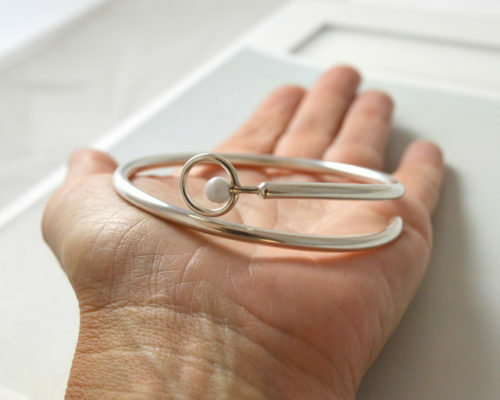 My aim – to design and create a range of jewellery. Now that we’re well into the new year I thought you might like a little update on how the collection is progressing. 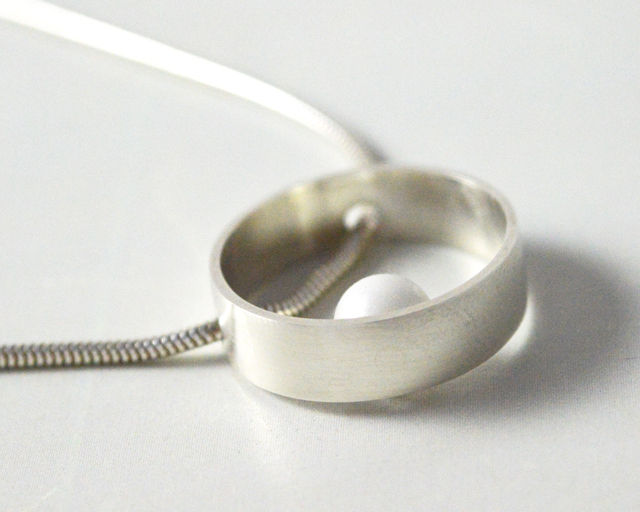 The range of jewellery that I’ve committed to design and make is for me! Whilst this sounds very selfish, it’s not quite as crazy as it seems – I haven’t forgotten about YOU, honest! This is really about giving me the focus to build a cohesive collection of jewellery that I know you’ll love too. When I wrote about this in January, at the start of the 100 days, I was a little scared of this goal. It felt massive! I was worried that I might not succeed and that the range I made might be truly dreadful! Well, 50 days in and I’m making good progress and learning a lot along the way. To put this in context, when I started working towards this goal it was the middle of the school summer holidays. Although the children are much older now, this was not going to be the best time to start, as there would inevitably be constant interruptions & distractions. With this in mind, alongside a determination to succeed, I decided to initially keep daily actions towards the goal really small. Now that the children are back to school (which in Australia was not until almost the end of January!) I have been able to dedicate much more time to working on the new collection. 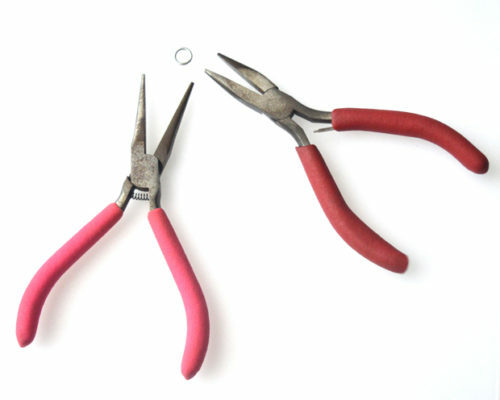 So far this goal has been great for giving me the focus I needed to build a cohesive range of jewellery. The collection is simply inspired by circles and currently includes three bangles, one pendant necklace and one pair of earrings. 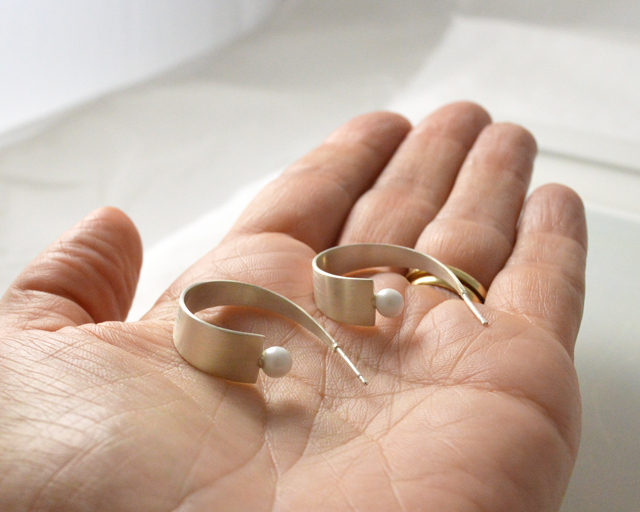 At the moment I’m loving how beautiful this new jewellery is (although I guess I’m a little biased!). Each piece coordinates beautifully with just about everything. It is also proving very easy to mix and match pieces of jewellery within this emerging collection. I know I’m biased, but I absolutely love this jewellery! It is simple, yet elegant, focussing on emphasising the beauty of the silver and glass. Whilst silver & white are a classic combination & so versatile, white glass, in my humble opinion, is a little dull on its own. To make this work I added a little bit of pearly sparkle to the glass to give it a subtle sheen. 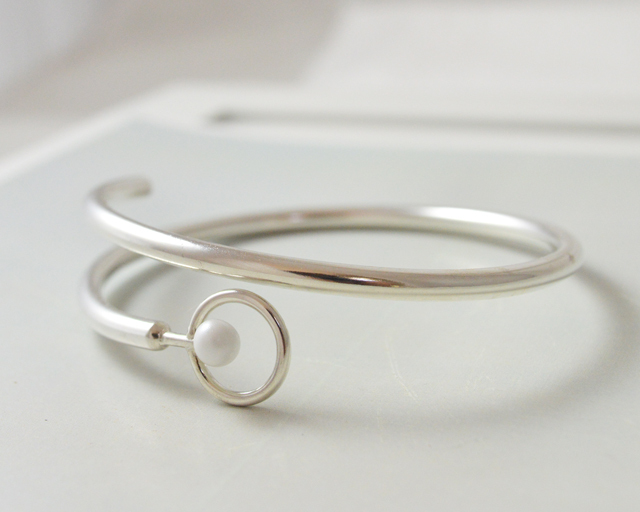 This solid silver bangle is my absolute favourite! Arguably I shouldn’t really have a favourite, but there it is I’ve said it. 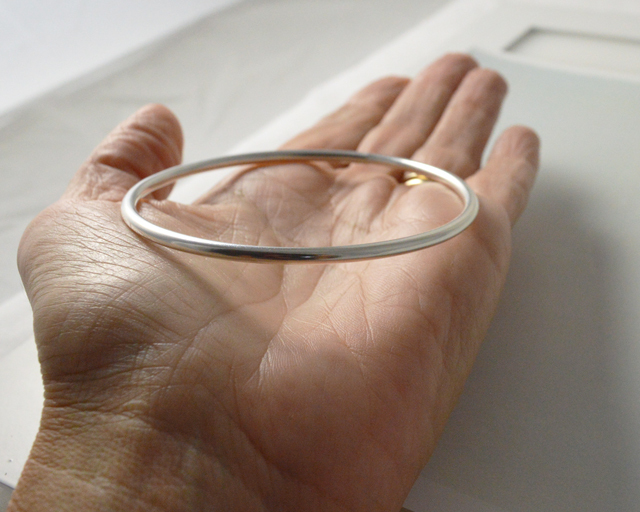 This solid silver bangle is just awesome – it looks amazing, feels great & is just so easy to wear. What more could you ask for! Reading though this makes it all sound like a bed of roses, but rest assured there has been a lot of hard work behind the scenes to make this happen. New designs take time to formulate, along with learning how to bring them to life. Each design has evolved as the reality of what can be practically achieved has inevitably influenced the final product. Silversmithing is still a relatively new skill to me, which means I’ve also at times spent hours sweating away at something that should have been much quicker. However, all this helps to further my experience and is stretching me to bring you new and innovative designs that I hope you will love to wear. Now, as I said before, it would be way too selfish to do all this work just for my own personal benefit. You will therefore be delighted to know that I’ve taken photos of each piece in the collection and listed them in my online shop. 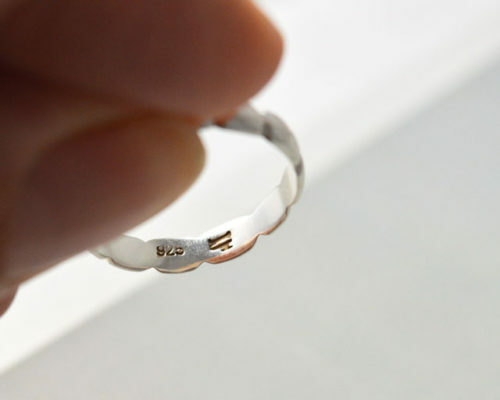 This means if you would like one for yourself, all you have to do is let me know and I will happily make one for you. In the meantime I’ve lots more design ideas in mind and heaps more work to do. I think it’s time for a change of colour for the next pieces in the collection. What colour of jewellery do you love to wear? I’d be interested to hear your thoughts.